Jeni Baker is a refreshingly original designer we've featured here at FQP before, and for good reason; her designs are bright, colorful, and useful. We're not the only ones who have noticed Jeni's quality as a designer. On Tuesday Art Gallery Fabrics announced a new upcoming line of fabric designed by Jeni that will be coming out early next year, a collection called Color Me Retro! Please follow the links below for more information, including a video introduction of Jeni by the Art Director for Art Gallery Fabrics! 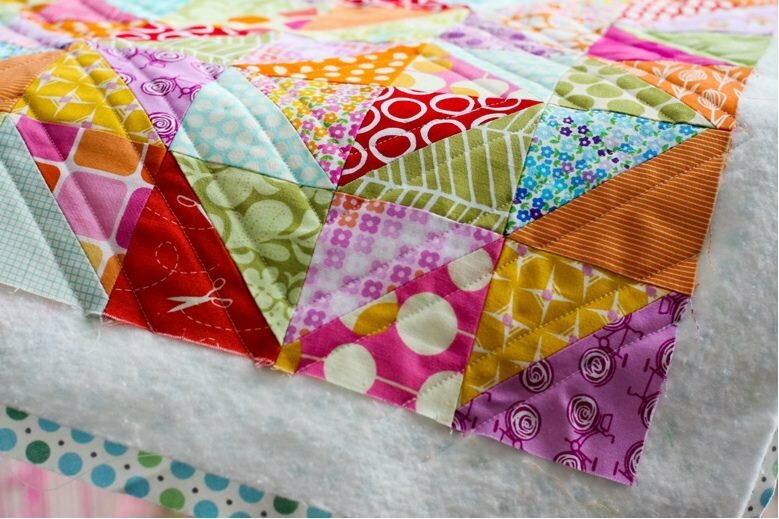 For today's tutorial, Jeni put together an excellent walk through of the basting and quilting processes for the warm-cool quilt along she ran last year on her blog, In Color Order. 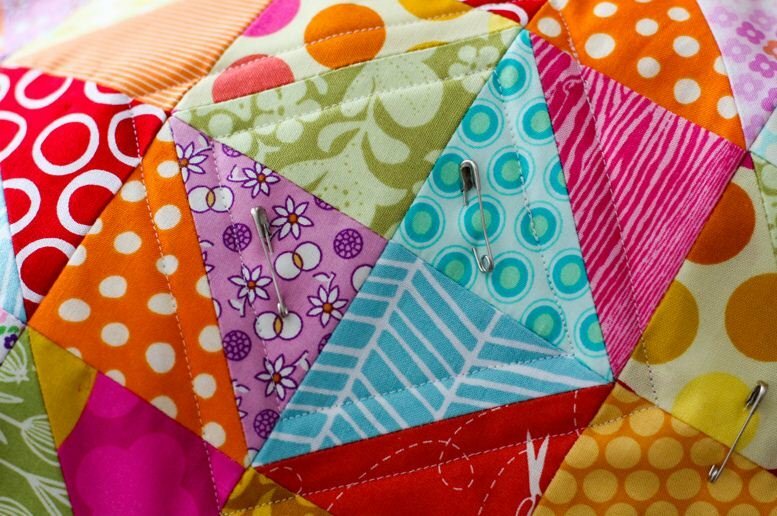 Check out the entire series when you get the chance, but for those of you who want to see a great demonstration of this part of a quilting project, read on! Take a look at Jeni's Tutorials on a wide variety of great topics! 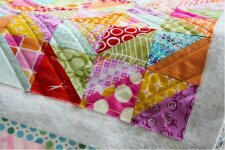 Check out her new upcoming fabric collection Color Me Retro by Art Gallery Fabrics!